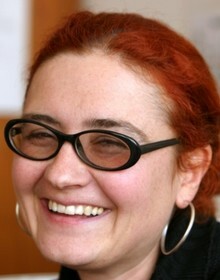 Milena Katsarska is Lecturer in American studies at the Department of English studies at Plovdiv University. She teaches courses in American studies, Critical and Academic writing, Translation and politics at BA and MA levels. At present her research interests are focused on institutional disciplinary historiography and the prefatorial discourse surrounding American literature in Bulgarian translation (especially with a view to the 1948-1998 period). Translator of fiction for a number of years, Milena has translated critical essays from English into Bulgarian as well (Homi Bhabha, Werner Sollors, Adam Seligman, etc.) and is recently increasingly involved in translating scholarly works from Bulgarian into English in the Humanities. She writes creatively in English and has published short prose and poetry in magazines, such as Fly in the Head and Shipwrights: Review of De-centered English. Her numerous scholarly publications are in the fields of culture studies and disciplinary historiography.